A team of five (three scientists, a psychologist, and a paramedic) venture into ‘the Shimmer’, a large and mysterious bubble that is growing over part of the US and where the laws of nature don’t seem to apply. 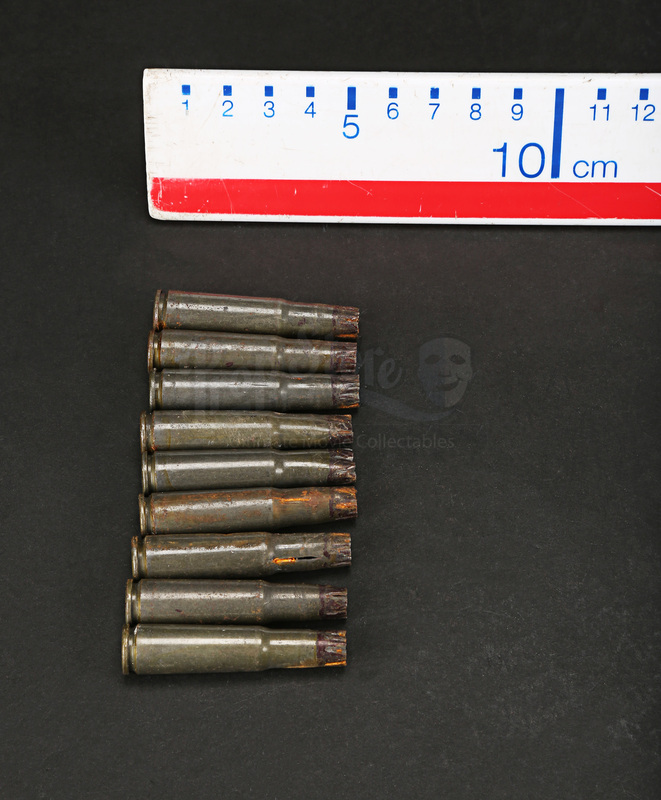 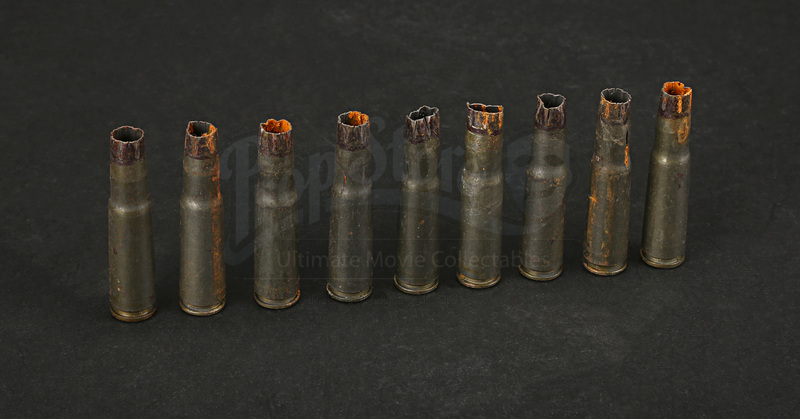 These bullet casings are from the production and, although not obviously seen on screen, are from the abandoned army base that the team find. 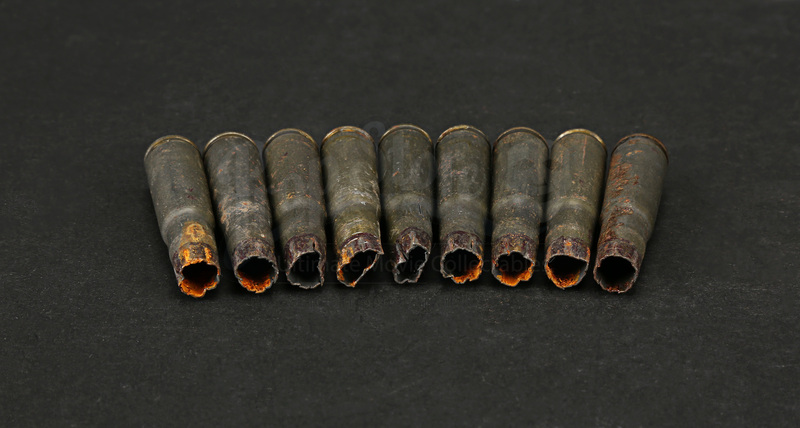 The base contains evidence that a team that came before them stayed there, including a tape and the ghastly remains of one of the team in the swimming pool. 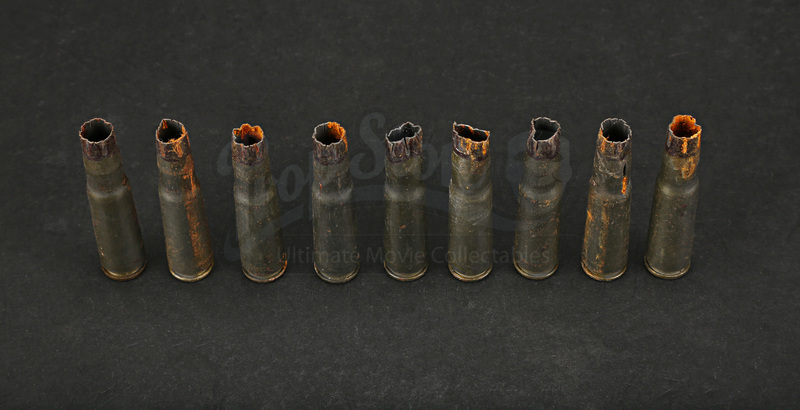 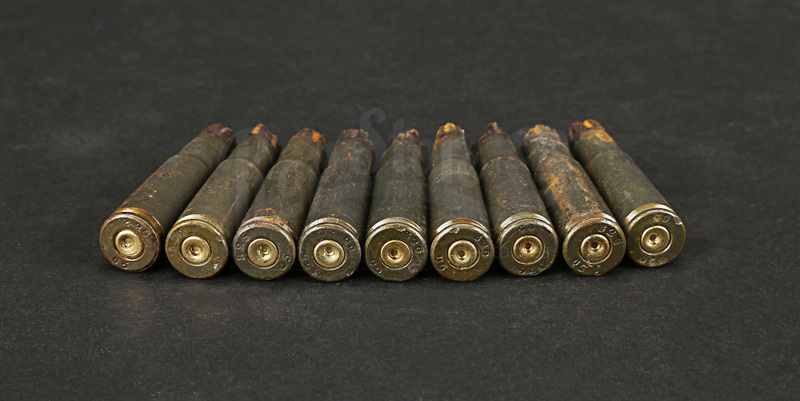 Made of metal and rusting around the open ends, these bullet casing show some wear from production use but remain in an otherwise excellent condition.